Last weekend the sun finally came out and it felt nice and warm (for a change) so the family and I headed along to the Almond Valley Heritage Centre in Livingston for a little day out. 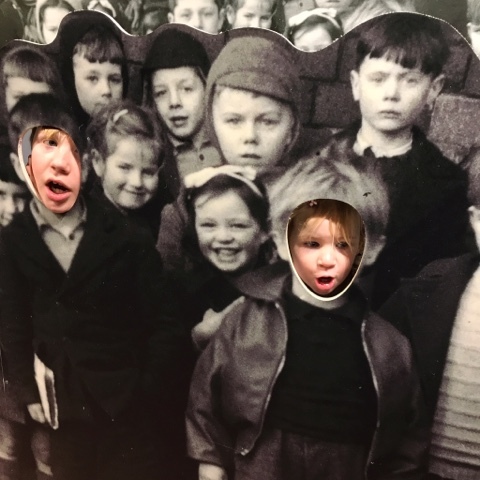 I’m embarrassed to say I never even knew the heritage centre was there but I’m so thankful that the lovely team from Almond Valley got in touch and invited us along to check it out. Here’s a little bit of background on the site for those history buffs out there: “The story of Almond Valley begins in the late 1960's with a campaign to save the historic buildings of Livingston Mill from demolition. A volunteer group won the support of the new town development corporation, and over the course of a decade worked to restore the derelict watermill and farm-steading. Members of the local community then established a city farm on the site, and a little later, one of the outbuildings became home for the Livingston Oil Museum. Our drive from Fife hardly took any time at all and before we knew it we were parked up and ready to explore. Entry to Almond Valley is via the gift shop where you can purchase your tickets from reception. 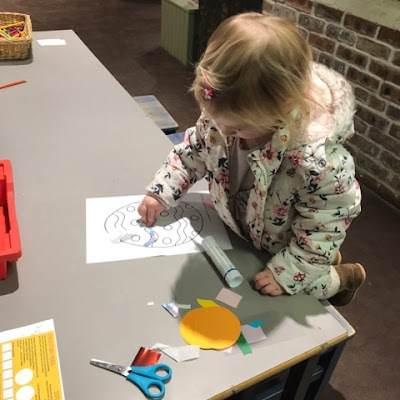 You can visit from 10am to 5pm every day and there’s membership passes available too in case that’s something of interest for your family. If you’re visiting a lot I would recommend it as it’ll save you some pennies. Upon our arrival the lovely receptionist handed us a few leaflets and explained the park and what activities were on since it was our first time. 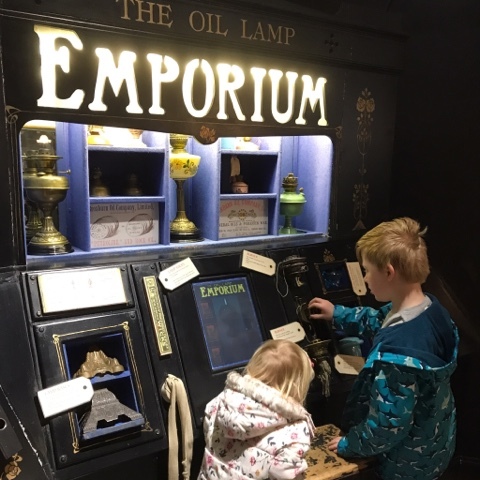 We were intrigued to explore the Shale Oil Museum and take part in the Easter activities currently available between 24th March and 16th April. The SpringTime Trail is one of them where you’ve to spot springy plastic ducks around the park. They have a letter attached to them and once you find all 8 you’ve to make a word to receive a prize. There’s also the egg hunt where you’ve to comb the park for hidden egg cards. If you find one you can take it to reception and get a treat. Harlow also very much enjoyed the Easter crafts table and spent quite a bit of time there decorating her paper egg. If you visit between 30th March and 2nd April there’ll be a plastic duck race as well. So lots of things to do. 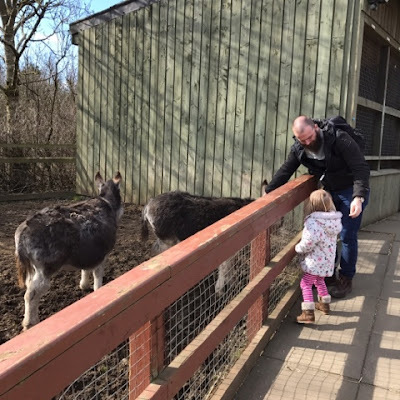 As well as all the activities that Almond Valley have on throughout the year they also have tons of different play areas for the kids and lots of lovely animals to visit. During Easter you can even have an animal encounter in the Wings and Whiskers shed. Cute chicks and fluffy bunnies here we come. There really is so much to do and see at the park with some of the kids favourites being the nutty bouncer pillow, trampolines, bones and stones tent for digging up remains, morag's soft play, the adventure zone and woodland go-carts. 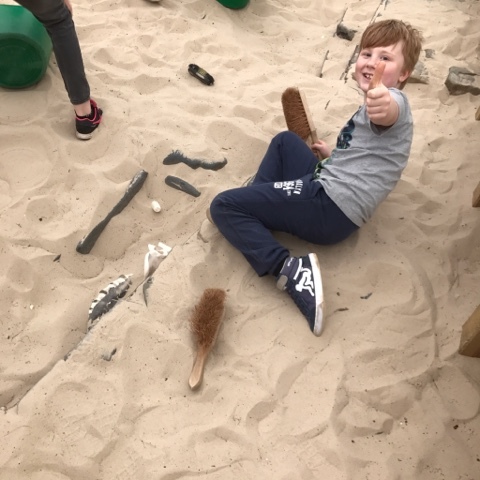 The park is huge so we never managed to do everything in one go sadly but we're hoping to get back soon and take part in the activities we missed such as the zip-wires, trailer and tractor rides and the railway. The trailer and tractors rides run most weekends and during holiday periods whilst the narrow gauge railway runs on summer weekends. There's an extra charge for these activities but it's only £1 so very reasonable. 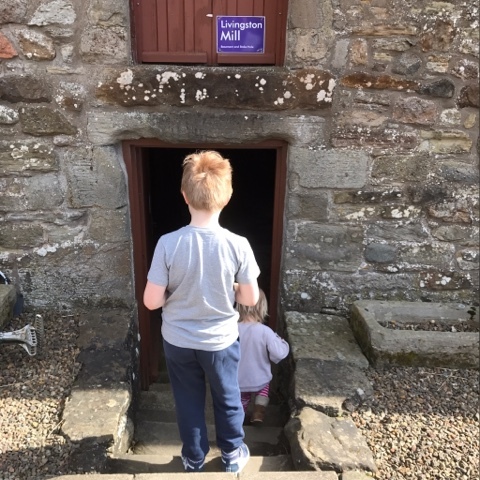 After a good bit of running around the park we decided to take the kids into morag's soft play as morag's tearoom is joint on and us adults could have a cuppa. The kids got 30 minutes in the soft play for 50p whilst the hubby and I relaxed for a little minute. We came back to morag's tearoom later in the day for a spot of lunch and it was lovely. 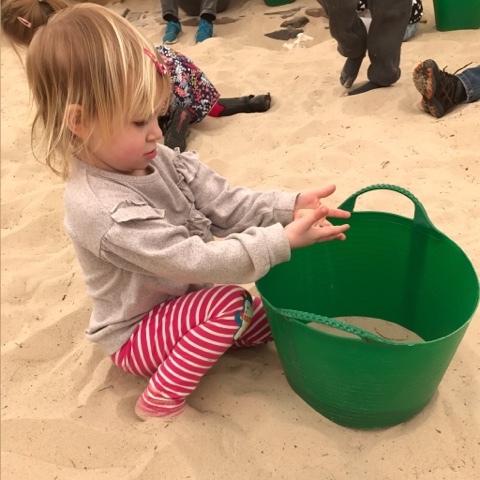 Plenty of variety to choose from but the good thing about Almond Valley is that you can bring your own food and have a picnic in the picnic barn. I think I'll do that next time for a change. All in all the kids and us adults had a lovely time exploring the park. With so much to do and see I can't see my two ever getting bored of it especially with so many different play zone. We literally spent almost the whole day here and only left at 4pm as Harlow was getting tired. I'd highly recommend for a great fun family day out. We were sent tickets to the park in return for an honest review. 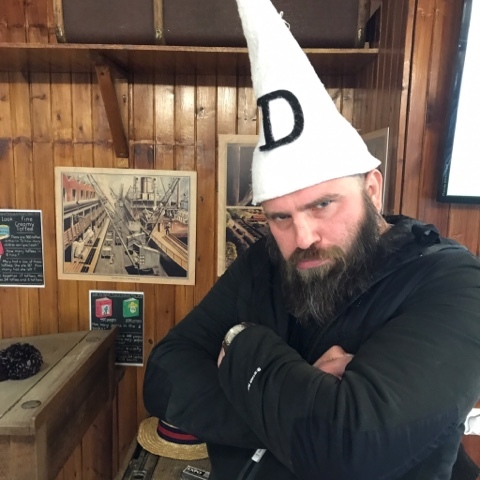 0 comments on "Review: Almond Valley Heritage Centre"